Mosquito net and 100 percent blackout in the same product. 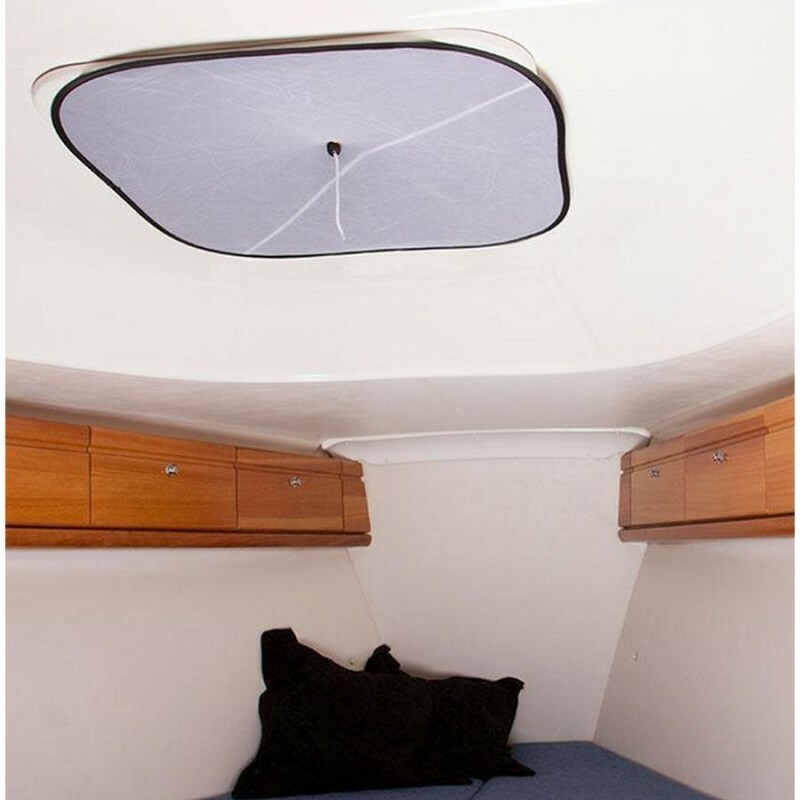 The combination of the two layers of curtain/blind and one layer of mosquito net darkens, lets air through and keeps the mosquitoes out of the boat. 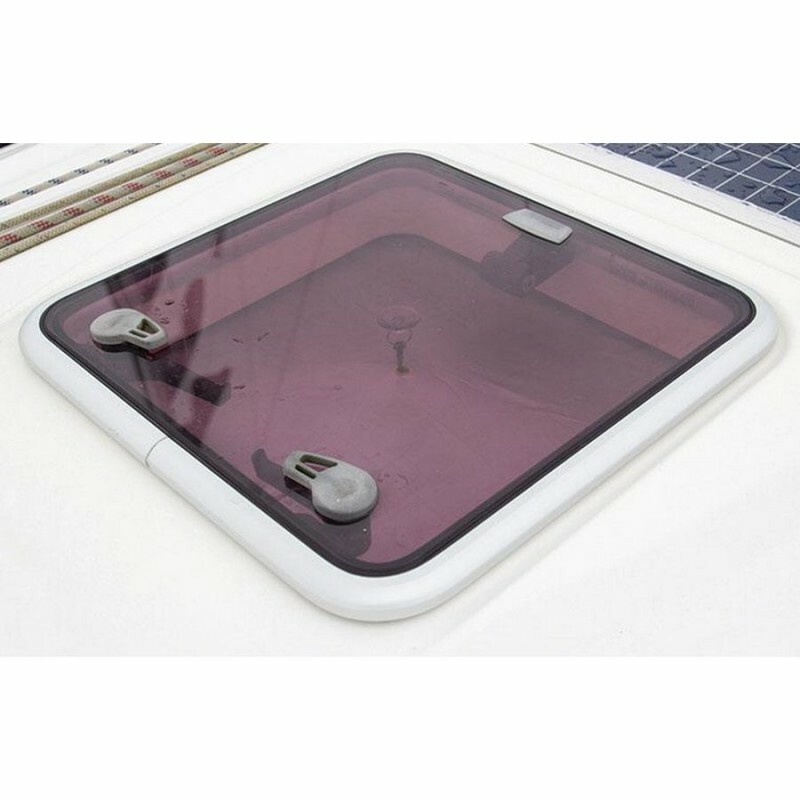 It is easily mounted from the inside with two suction cups or the new alternative with magnets. 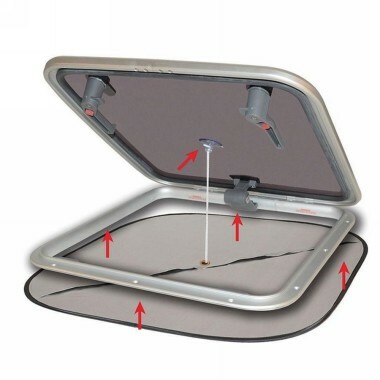 It is suitable for roof hatches with interior dimensions up to 720 x 720 mm. The overlap of the curtain varies depending on the hatch size. Folds down to a third size, storage bag included. Fits all brands of hatches.